Body Shaping Lipid Transfer, or fat transfer, simply involves the movement of fat from one area of the body to another—for example, fat from the inner thighs may be transplanted to fill in creases or hollows in the cheeks. 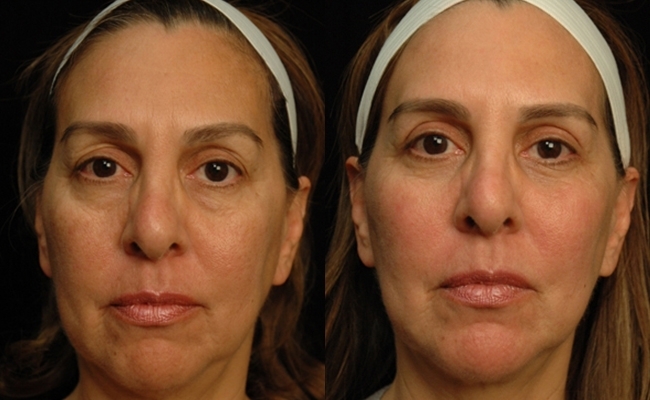 This procedure can address loss of fat in the face, lips, buttocks, breasts, under-eye area, and other parts of the body. During an autologous fat transfer, Dr. Kruger will remove fat from the "donor" area using a syringe. She will then inject the fat cells into the area that needs plumping, where the fat re-vascularizes and becomes part of the body once more. Body Shaping Lipid Transfer can be done on an outpatient basis under local anesthetic. Because the fat used comes from the patient's own body, there is no risk of allergic reaction.